Tucker was on the dangerous dog list at most insurance companies. You say you're not worried about dog breed discrimination because you don't have a Pit Bull. Think again. The last time we shopped homeowners insurance was shortly after Tucker passed away. That was probably a good thing because we would have had to lie, been denied by the company we liked, or continued to shop around. Tucker was a mutt. There was probably some Lab in there. However, according to our veterinarians in both Virginia and Missouri, there was definitely some Chow. That would have been a problem. Most insurance companies we called would not insure us if we had a Chow. All of the insurance companies we called had rules about dogs. Many of them weren't at all keen about the size of our dogs. In fact, all of my dogs are on a list somewhere as banned or restricted. My current dogs are all on a banned or restricted dog list somewhere. Years ago when I was apartment hunting in Kansas City, I lost count of the number of landlords who declined my application. Not because I had a dog, but because I had a large Doberman / German Shepherd dog. Back then both of those dog breeds, along with Rottweilers, were looked upon with fear and loathing. Today, though dogs labeled as Pit Bulls may be the first dog mentioned in any discussion of "dangerous dogs" or dog breed discrimination, they're just one type of dog among many. According to research done by Stubby Dog, an organization dedicated to changing public perceptions of Pit Bulls, many insurance companies, cities and counties also target Rottweilers, German Shephers, Doberman Pinchers, American Bull Dogs, Bull Terriers, Mastiffs, Dalmatians, Chow Chows, mixes of those dog breeds, as well as other large breed dogs. Over the years most of my dogs have been large dogs. 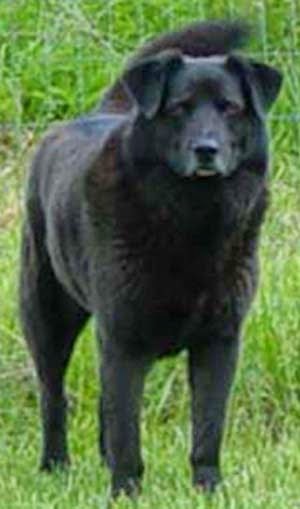 Though most have been mutts, they either looked like or actually were a mix of some of the dog breeds that are often lists of banned or restricted breeds. Not one was a dangerous dog. I didn't let them ever become dangerous dogs. That's right. It's about me, me, me. Me, the dog owner. Any dog can be taught to be dangerous - by actual teaching/training or from lack of training. Contrary to our current cultural bias of blaming the dog or the dog breed, any dog that is actually dangerous is caused by a dog owner who is not being a responsible dog owner. It's all about whoever is at the other end of that dog leash. Breed-discriminatory legislation (BDL) refers to laws that target dogs based on how they look rather than their actions. Hundreds of U.S. cities have already enacted BDL, and more cities adopt it every year. Many cities and counties—plus Marine Corps and Army bases—have banned select breeds altogether. Other cities enact BDL that automatically labels dogs of certain breeds as “vicious” or “dangerous” regardless of their behavior. These laws may require owners of the targeted breeds to follow strict guidelines, such as sterilization, proof of liability insurance, housing of the dog in a cage with a roof and floor, and muzzling the dog when on a leash. Amy Burkert of Go Pet Friendly notes that across the US, municipalities have placed bans or restrictions on more than 100 breeds of dogs. Penalties range from fines to your dog being seized and euthanized. In fact, Burkert began making a a list of all the affected dog breeds, but gave up when it passed 100 affected dog breeds. She notes that some of the BDL laws have such broad language that they include dogs that look like the targeted breeds. Dog breed discrimination is an issue of huge importance to any and all dog owners. Just because you don't own a dog on any of these targeted lists, doesn't mean that your favorite dog breed or mutt isn't already affected or won't be in the future. Become aware of the laws governing your home city or county and make sure that you are in compliance. When you're traveling, make sure your dogs are safe by knowing about breed restrictions where you're traveling to or through. Take action when breed specific legislation is proposed in your city or state. Attend public meetings and speak out. Write letters to your elected officials and local newspaper. Take every opportunity to help promote awareness of the positive attributes of your particular dog breed. Make sure that you are a responsible dog owner and that your own dogs are well trained and behaved. Be the Change for Animals (BtC4animals.com) - where everyday advocates band together to make the world a better place for animals. The goal of BtC4Animals is to ignite and accelerate the change that we can make as individuals. They highlight one cause per week and provide information on how readers can help. Blog the Change takes place quarterly. Totally agree. After 9 years working in vet clinics, the breeds that were reputed to be the "killers" were usually the sweetest and best to handle. But some of the cute little fluffs were demons because of their owners. We've had as many as 10 rescues at a time with several being Golden Retrievers. I saw an article recently that said Goldens were in danger of being added to that list.....really? In 51+ years we've had 28 dogs, 27 of them were rescues, and we have never had a dog we could not trust because we set the rules and they abided by them. There is no place in the dog world for macho or "so cute", IMHO. Suggest deciding who is going to be the Alpha early on and stick with it. Don't let the breed get blamed for negligent owners. Great post, Sue. Thanks for reminding people that discrimination affects many breeds of dogs, and it's something we all can potentially be impacted by. If you own a dog, this is something you should care about and educate yourself about. You provided some great tips, thanks! Yes, thank you so much for reminding people that any breed of dog can be dangerous given a horrible owner/situation. I also really appreciate you laying out what can be done. I have also experienced big dog and black dog discrimination... but while my super sweet and well trained big, black mutt was "scaring" everyone, my little fluffy dog has always been the one harder to keep in check regarding how he treats strangers! Agree with this completely, thank you! I have a small Bichon Yorkie, so I have luckily not had a problem with any apartment hunting. But how people have judged him and other dogs I know (my sister-in-law has a Chow and people always back away in fear) has nothing to do with their dispositions. If there was ever an attitude problem with my dog (as small and fluffy as he is) I, as the owner, should take responsibility and ownership for that. Love when people shed light on this , thanks again! I had absolutely no idea! Thanks so much for educating me. It's uncanny how ridiculous breed bans can be! I'm appalled that you found resistance against your labs and mutts. Good grief, how silly!! That said, I've been looking for a place to rent, and in an area that tends to be semi-pet-friendly, there are boatloads of restrictions as to the size and breed of dogs that they will accept or reject. Makes me so sad. Great advice about getting involved and staying in the know. Our local governments are the first place we can affect change. Hear, hear - breed discrimination affects us all, not just those who have a banned breed right now. The call to ban breeds can come from an irrational place and doesn't get at the heart of the problem, which often stems from nurture, not nature. 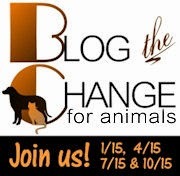 Thank you for the great info and suggestions about what to do, and for joining us to blog the change for animals.